With a little more than a week to puck drop, there’s no shortage of interesting story lines for the shortened NHL season. Poolies are busy cramming in advance of their hockey pool drafts, so here are a few things to keep in mind as your draft date rolls around. Two factors to consider when drafting players in a shortened season is age and conditioning. Age is obvious as there won’t be as many off days in a condensed schedule and younger legs should be able to handle the wear and tear better than those of a 10-year veteran. Conditioning really means have they been playing during the lockout either in the KHL, other European leagues, junior hockey or AHL. Three Edmonton Oilers meet these criteria perfectly: Jordan Eberle, Taylor Hall and Ryan Nugent-Hopkins. The trio have been skating together this season with the Oklahoma City Barons of the AHL and Nugent-Hopkins also played for Canada at the World Juniors. The trio is in game shape and should have a leg up on a lot their competition – even the ones who have been playing during the lockout – as they’re skating, often times, on the same line in Oklahoma City. Justin Schultz and Nail Yakupov also meet the criteria, but being rookies lends a bit of uncertainty to their game, however, they could be good players to gamble on in your draft. The key player for Edmonton is Eberle, he’s coming off a great year and looks poised to be the top star on this young, exciting Edmonton team. The numbers Jordan Staal can potentially put up as a top six forward with the Carolina Hurricanes should be enough to make poolies drool. As a member of the Pittsburgh Penguins for the past few seasons, he was behind all-world centres Sidney Crosby and Evgeni Malkin. In Carolina he will get a chance to be a top six forward and benefit from first-line power play duties and increased ice time. The opportunity gets even better when you realize he could be flanked by the likes of his brother Eric, Jeff Skinner and Alex Semin. 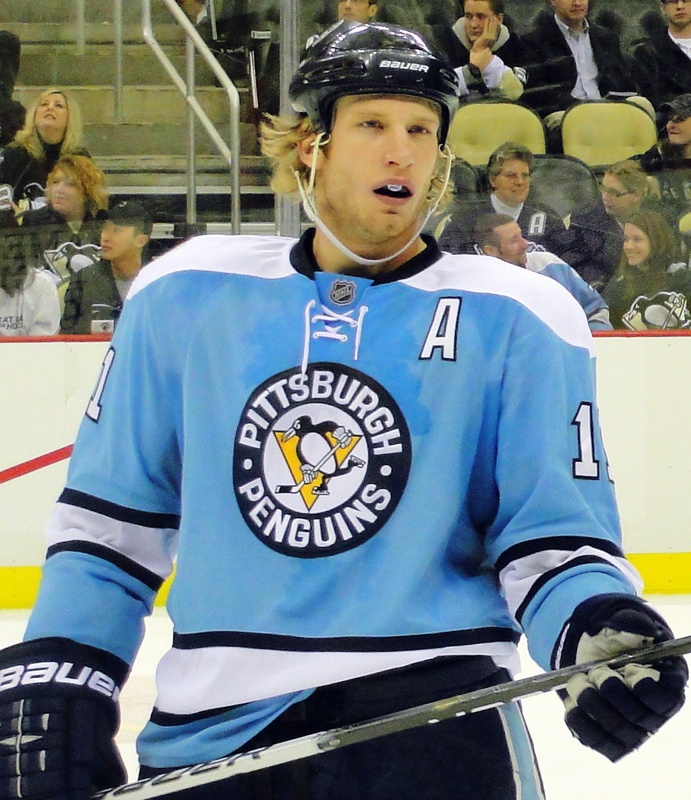 Jordan Staal has the chance to have a breakout season even in an abbreviated 49-game schedule. He could be the steal of the draft if you can score him after the second round. While most of the eyes will be trained on the Edmonton duo of Yakupov and Schultz, one guy to gamble on having a solid rookie campaign is Mikael Granlund. When it looked like the lock out was coming to an end, the Wild pulled him from the lineup of the AHL’s Houston Aeros to ensure he’d be healthy and ready for camp. Granlund has adapted well to the North American pro game registering a point-per-game pace with 21 points in as many games this season with Houston. He’s well versed in playing against older competition as he’s competed against much older players the past few seasons in the top pro league in Finland. The forward should find a home in Minnesota’s top six.